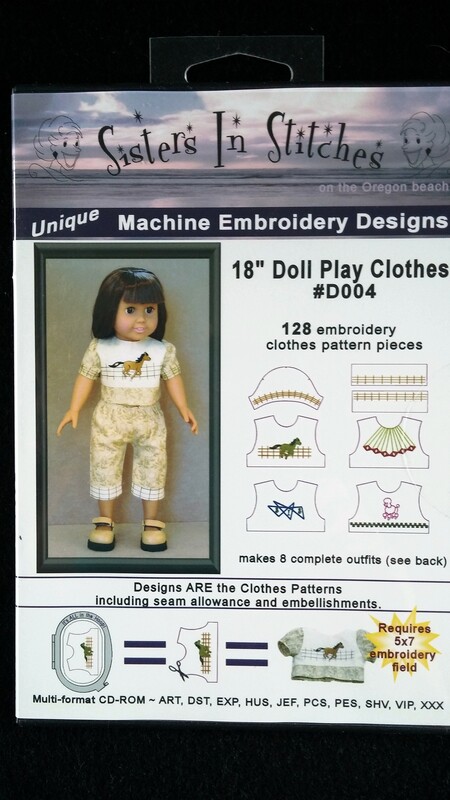 Unique machine embroidery designs for an 18" doll. CD includes 128 embroidered pattern pieces and facings, printable sewing instructions and color chart. The complete pattern pieces are stitched out in the hoop with seam allowances included.